Exchange Student - German exchange student Anouk Elias made a lasting impression on her teachers and fellow students at Middletown High School. While her European perspective was giving her classmates a broader view of the world, she grew to appreciate the more personal teacher-student dynamic found in American schools, the different types of classes offered, and the inclusion of all students in the classroom, including those with special needs. Irvington High School teacher John Amberg and his family helped to make Anouk’s exchange year possible by hosting her during her time in the U.S. 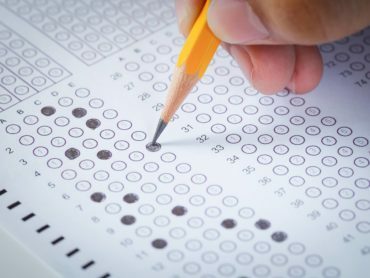 In a comparison of New Jersey’s eighth grade NAEP math scores with eighth grade math scores in countries world-wide, New Jersey public school students out-performed all but five Asian countries.They out-performed students in Canadian Provinces and across Europe, including the highly rated Finland schools.